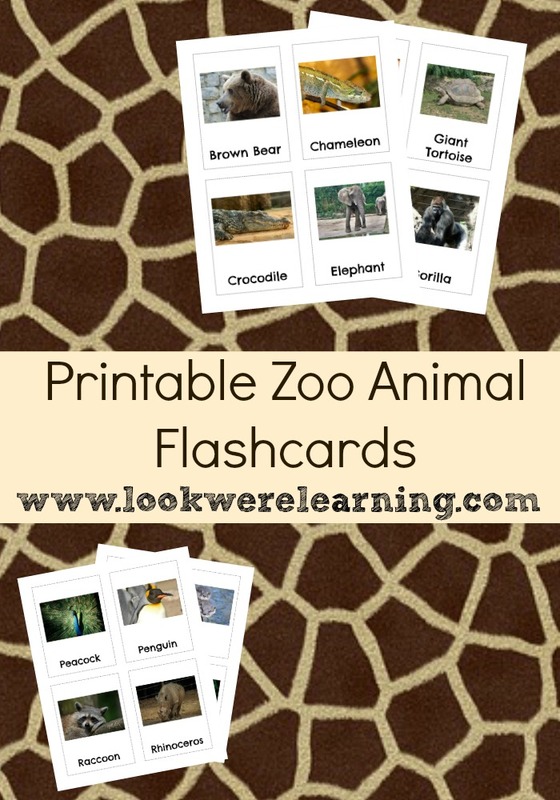 Printable Zoo Animal Flashcards - Look! We're Learning! I’m happy to share a brand new pack of printable flashcards with you all today! 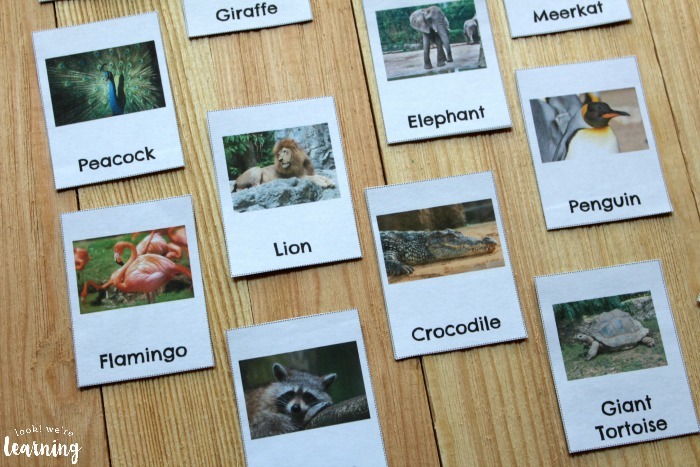 This time we’re featuring printable Zoo Animal Flashcards! We go to the zoo often with the kids and they always love spotting new animals or even ones they’ve come to know and love over the years. 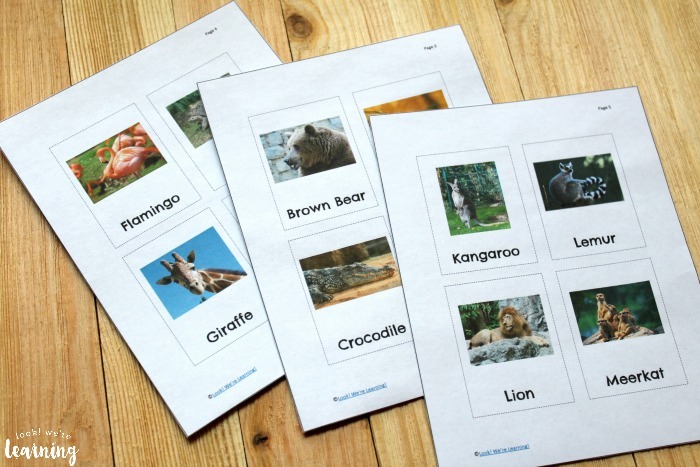 So I thought that they’d love having some flashcards to learn about new animals and to look out for them when we tour the zoo again. These would also be a nice introduction to animal diets or animal habitats, especially since so many creatures that live in the zoo require different environments to feel at home. 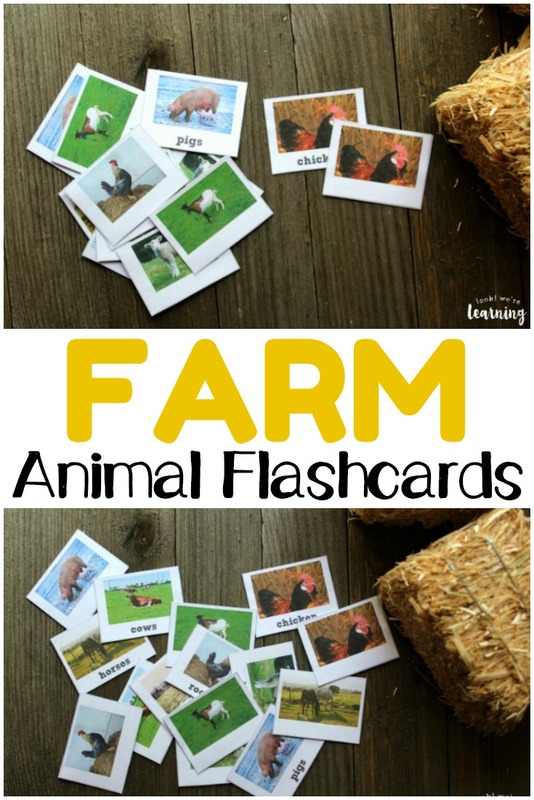 Read on to see how to get these animal flashcards for yourself! 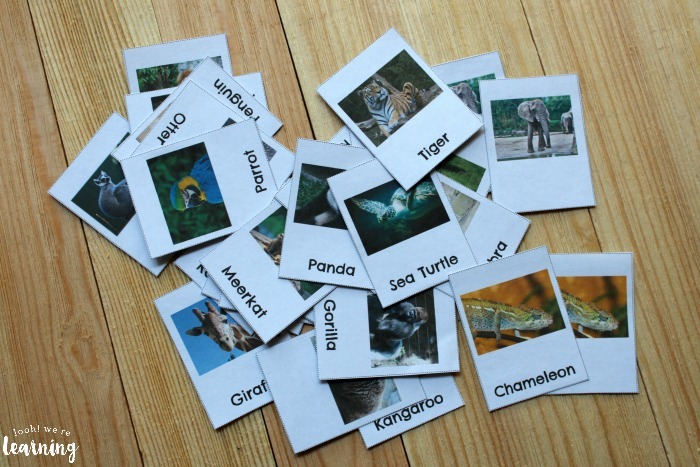 And if you love these, don’t miss our Alphabet Animal Flashcards for early learners! 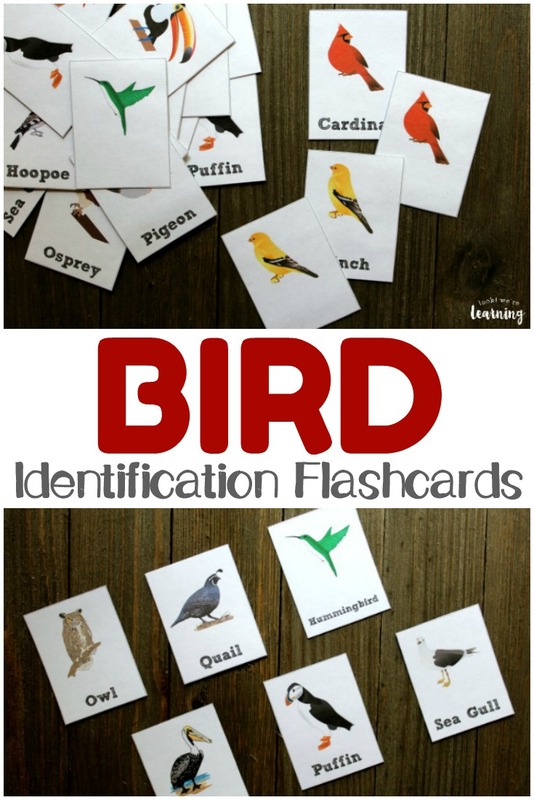 These cards are awesome for introducing kids to wildlife. 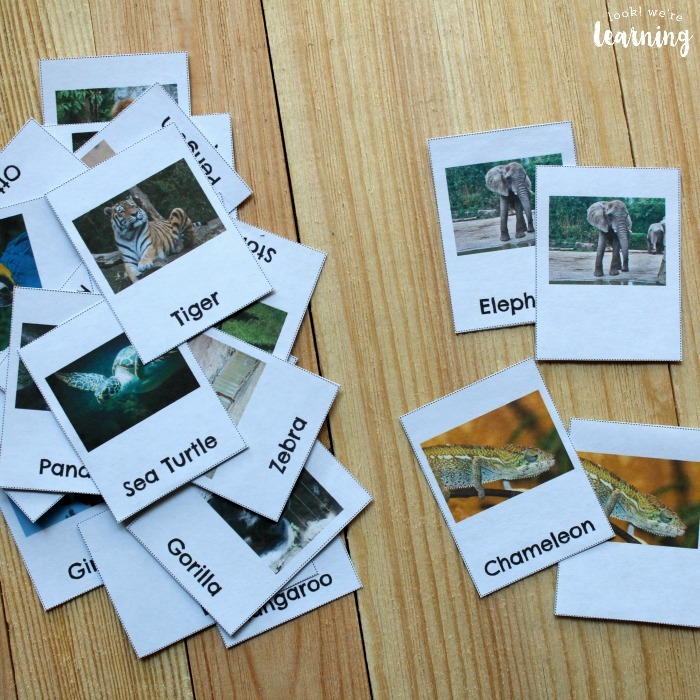 Rather than cartoon animals like our A to Z Alphabet Flashcards, these zoo animal flashcards show actual pictures of animals. Kids will get to actually “see” what these animals look like! 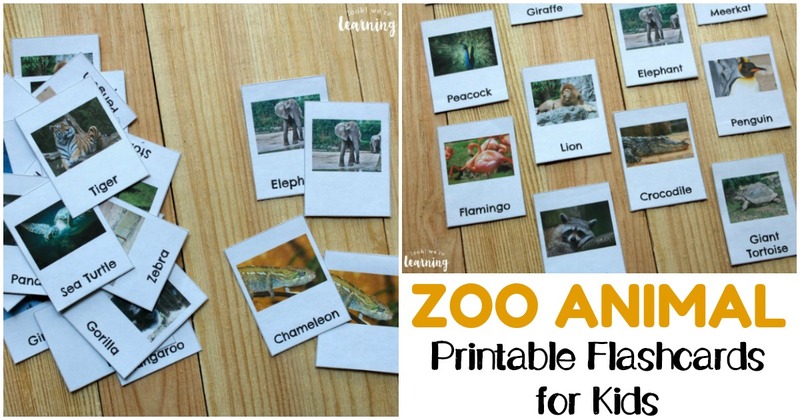 You could use these to help your kids get ready for a trip to zoo! 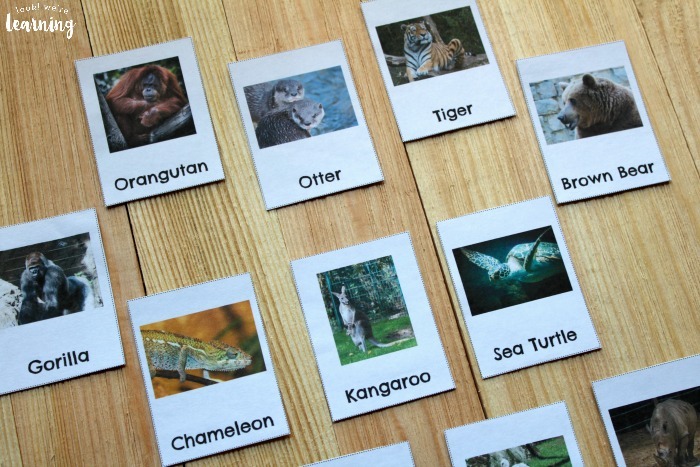 Try passing out the cards among your kids and challenging them to find as many of these animals as they can during a trip. You could also have your kids pick one of the cards out of a bag and then do a quick report on it by the end of the week. These would also be a good busy bag activity for little ones. 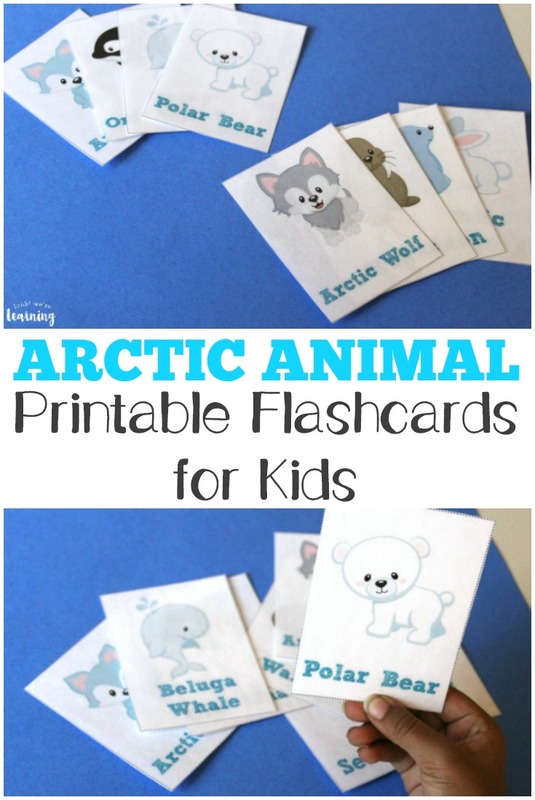 Since the product includes one set of animal cards with the animal names and one without the names, kids can practice matching up similar pictures. 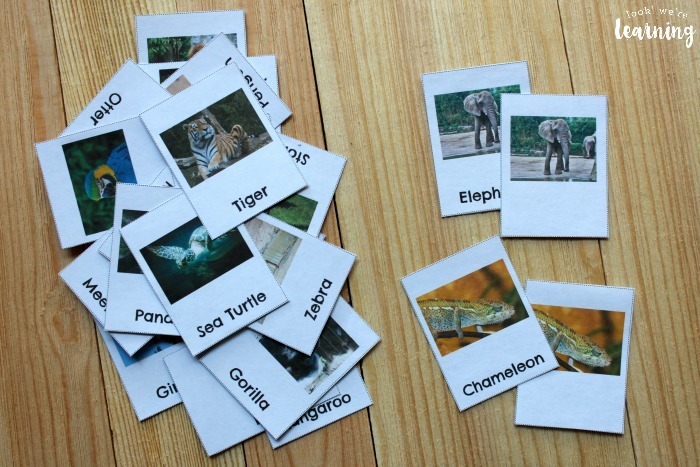 Or you could just use the unlabeled cards to introduce wild creatures to pre-readers! If you’d rather not laminate these, you could just print them on white cardstock like I did. They’ll still hold up to little hands pretty well that way. 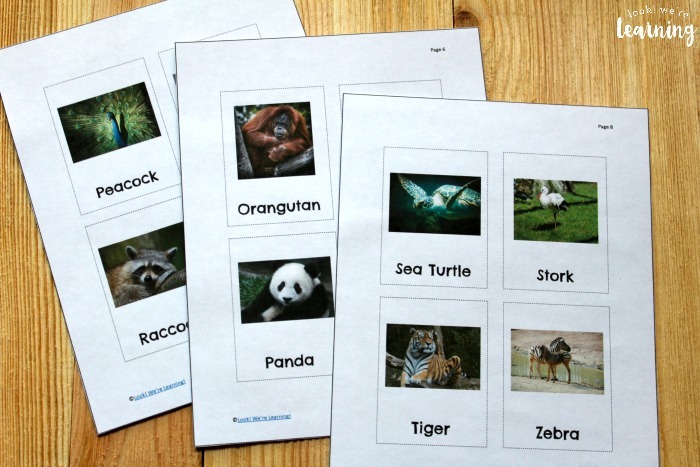 Scroll down to get your set of our printable zoo animal flashcards! 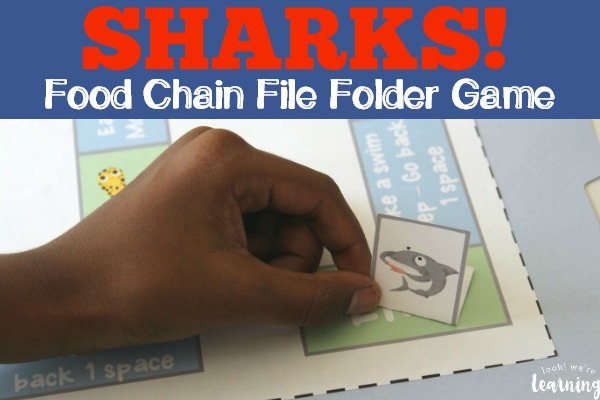 Don’t miss these other printable flashcards for kids! And get more ideas for teaching science on my It’s Science Pinterest board! 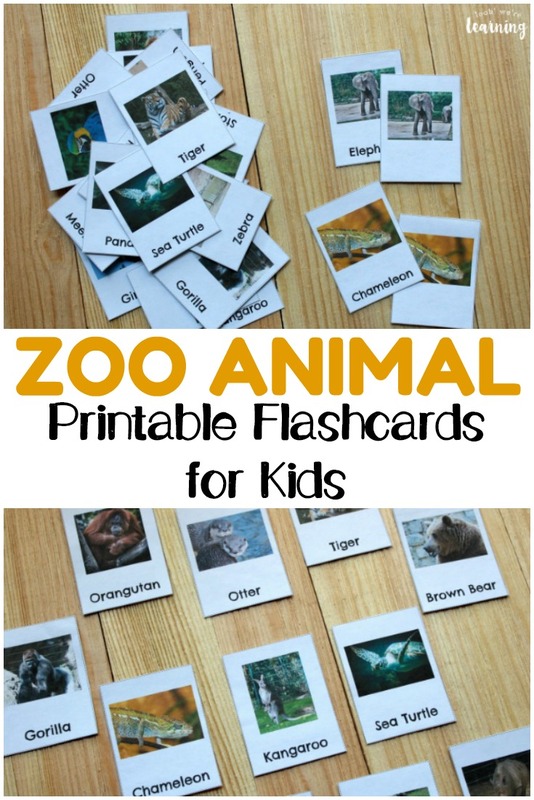 To get your set of our printable zoo animal flashcards, click the image or the link below to visit our Store!